Great Moraga Restaurant Facility For Sale - Low Rent! Go See This business. Look to the Left. Select "Sign NDA." Looking for a Great spot for a family friendly Tap House & Grill or Gastro Pub, then you have to look at this low rent cafe style restaurant with an open kitchen and a full hood system...includes a large outdoor patio, perfect for casual dining. This is a Newer Restaurant with Counter service concept…you can continue to use current concept or put your own in Very nice walkable area in peaceful Rheem Valley Moraga, Ca. It is located adjacent to the cities of Lafayette and Orinda... Other nearby cities include Walnut Creek, and Danville. Good School districts and St. Mary's College nearby. Current Menu consists of Fresh and Delicious Salads, Sandwiches & Wraps. Decor is Casual with a fresh clean feel...it has an open kitchen, comfortable dining and nice size patio! Interior and Kitchen Are Super Clean and this is a turnkey restaurant. 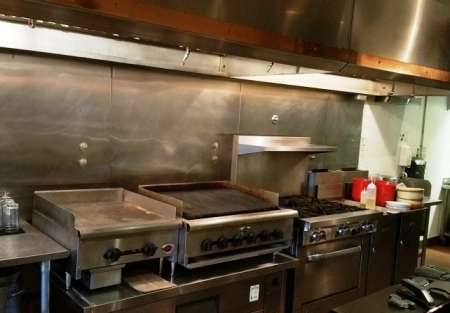 FF&E: All in Good clean condition, Full Ansul Hood, Reach-ins, Prep tables and work stations, warmers, and more! LEASE: LOW Rent of $2,732 includes NNN/CAM for 1,200 sq ft.! Lease expires April 30, 2021 + 5 year option. Tenant improvements in building a restaurant space out can can easily run into in excess of $100K...take advantage of a restaurant ready space and convert to your concept or additional location with Low rent! This location with a fresh concept can reveal its potential and where else can one buy a turn-key with low rent restaurant at this price on the Bay Area? Reason for selling: Seller has other business interests.